For 5 years, Samsung has churned out mid-range smartphone devices under its Galaxy A series. And now after announcing the Galaxy A30 and the Galaxy A50 at Mobile World Congress, Samsung has officially brought them to Nigeria. 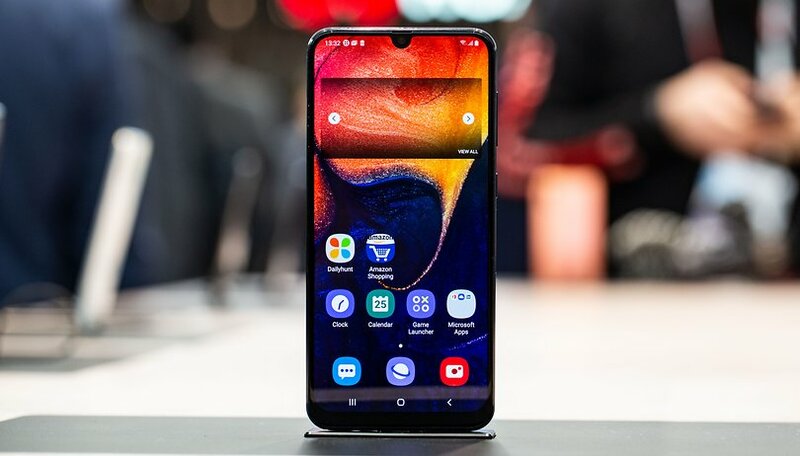 They also brought other new devices – Galaxy A70 and A20, entry-level Galaxy A10, as well as Android Go smartphone and Galaxy A2 Core. Though mid-range devices (for users who might not be able to afford the flagship Galaxy S series), they have been designed with incredible improvements and additions enough to rival market competitions. The Galaxy A70 has the best specifications of the pack. The device comes in 6.7” with an Infinity-U display. Bagging a 6GB RAM and 128GB storage space, the device has 4,500mAh battery (which is a serious upgrade over past Galaxy A series phones). The device also comes with triple rear cameras with Ultra-Wide angle shot enabled. For security the device comes with on screen fingerprint scanner instead of the side and rear used in previous versions. The Galaxy A50 comes next having a 6.4″ Super AMOLED Infinity-U display and a triple camera setup, same as the Galaxy A70. It also comes with an on-screen fingerprint scanner and powered by 4,000mAh batteries with 15W fast charging featured. The device also comes with 4GB RAM and 128GB storage space as well as a USB Type-C port. 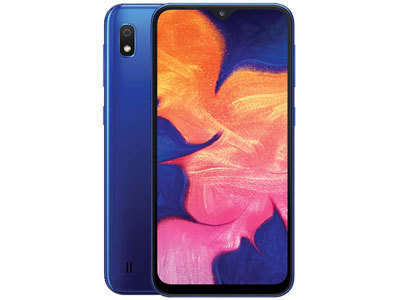 Similar to the Galaxy A50 and A70 the Galaxy A30 comes with a high-resolution Infinity-U display, 4GB RAM and 64GB storage. It also has a USB Type-C port, 4,000mAh battery, 15W fast charging, dual rear cameras including an ultra wide angle 5MP camera. It comes with a high-resolution front camera and a rear fingerprint sensor. Galaxy A20 and Galaxy A10 both come with lower specs than the A30, A50 and A70. One of these include the removal of biometrics (there are no fingerprint sensor on both devices). They also come with a microUSB charging port instead of the USB Type-C. 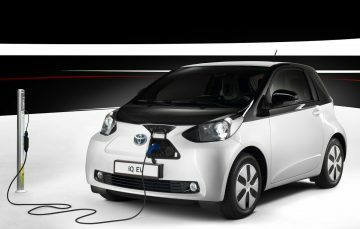 They have fast-charging 5W. While the A20 comes with dual rear cameras and a 6.4″ Infinity V display, the A10 comes with a single 13mp rear camera and a 6.2 Infinity V display. The A20 also comes with 3GB RAM and 32 GB storage space while the A10 comes with 2GB RAM and 32 GB of storage. 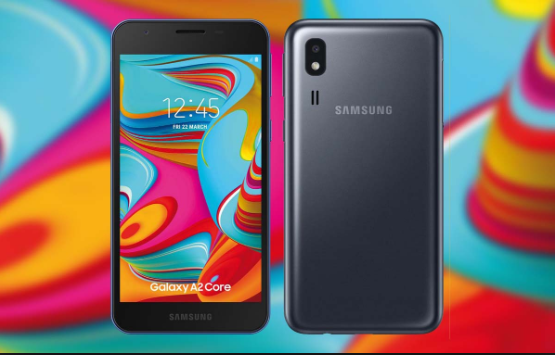 The last of these new series is the Galaxy A2 Core, which is the cheapest Galaxy A-series phone Samsung has launched so far. The device is also the least sophisticated coming with 5.0″ display, 1 GB RAM, 16GB of storage space, and 2,600mAh.